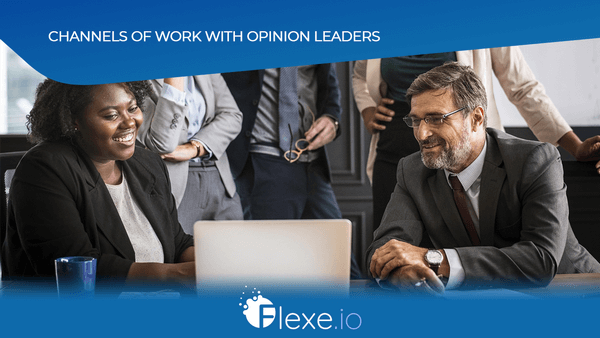 In 2019, the main trend in the promotion of projects in the cryptocurrency industry is to work with opinion leaders. Why is it so popular? — It is simple: modern users want to find a project for investment as quickly as possible and by minimal time. Yes, none of us have time to study hundreds of presentations, which is why we prefer to take advice. The effectiveness of working with opinion leaders depends on several component points. So let us talk about how to engage the influencer in promoting the project, based on the experience of the Flexe team. Lengthy experiments revealed that the most effective source of traffic when working with opinion leaders are video hosting sites and our favorite YouTube in particular. However, there are exceptions: for example, the Twitter profiles of the MGT Capital Investments founder, of the candidate for the presidency of the United States and of the curious character John McAfee. Cryptocurrencies and blockchain projects are the embodiment of complex technical solutions. Often, in order to convey the idea itself to the user, visualization is required. Dry text on Twitter and posts on Reddit do not always create the right idea in the imagination of a potential investor. It is much easier with visual content. Not everyone will find reading Whitepaper and study of the project code an attractive way of spending time. The modern user prefers a simplified model of presenting information. For these reasons, video content with the participation of influencers seems to be the most rational choice for promoting a project. Flexe specialists will help you build a strategy for your work. The popularity of the trend of working with opinion leaders spawned the emergence of a large number of offers of cooperation. As a result, new projects receive a lot of messages from bloggers and local fake-influencers. Lack of experience, as well as poor awareness of the features of promotion channels selection, negatively affect the effectiveness of using the advertising budget. Truly effective opinion leaders do not engage in self-promotion — this is worth remembering. Only beginning bloggers who want to monetize their poor success post offerings of cooperation. The choice of budget, but ineffective proposals cannot be compared in terms of effectiveness with an appeal to a proven leader of opinions. There is usually a queue for the latter due to the effectiveness of their proposals. In the case of independent surfing, it is necessary to assess the channel status: the visibility score, the presence/absence of purchased comments, the number of advertising integrations, the geography of subscribers and other factors. Important! Most channels are engaged in cheating. In addition to comments, they buy likes and views. An attractive shell may turn out to be a «dead» channel that will not bring any result. It is also important to understand that the project’s readiness to receive traffic plays a significant role in promotion: even the strongest opinion leader can do nothing with a “bare” platform, which team hasn’t correctly built retargeting and e-mail marketing. Turning to Flexe specialists, projects receive a ready-made script for effective promotion, each stage of which is verified by experience. At the moment, the team offers cooperation with 34 opinion leaders, which selection resembled a competition, where the key criterion was the result. Thanks to access to influencers, customers will get a guaranteed paying audience. Receiving a ready-made script, project representatives may forget about the problem of inefficient budget expenditures. Collaboration guarantees access to promotion with the most effective opinion leaders. 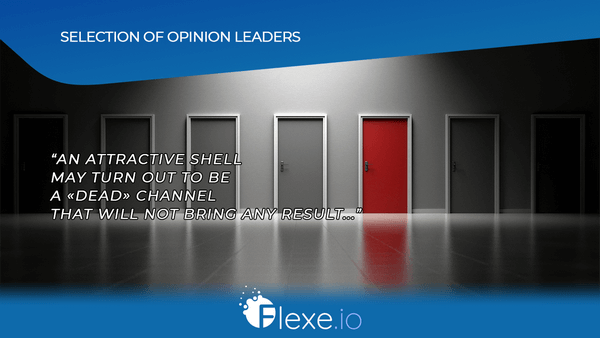 The Flexe team helps to set up traffic so that you get maximum response and results from the audience. How is the effectiveness of the video achieved? — It’s simple. Flexe specialists are working on the plan of a video so that the customer got the most out of it. As a result, the project team is able to avoid potential errors and save the budget, while achieving the best result. Let’s sum up: if you are willing to “reinvent the wheel”, wasting money, following the illusory hope of a good choice of the influencer, you should go surf the Internet. 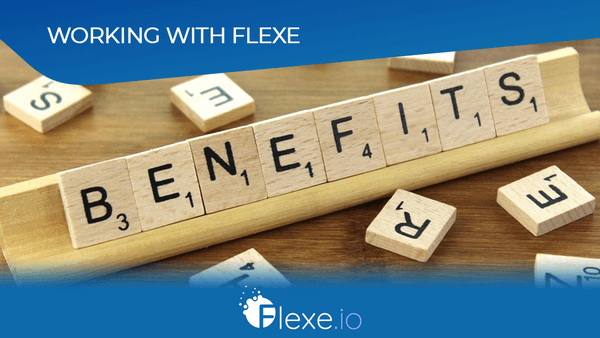 Those who want to entrust the project promotion to professionals who know exactly how to succeed — welcome to Flexe. The funds saved by the right choice, you can spend for the benefit of your business, leaving the «inventors of the wheel» far behind.